[4:.00] It’s only been about three decades where we’ve had an abundance of stuff. Before then, resources were scarce. [5:40] Anybody can adopt a rich mindset. It’s not rocket science. [13:05] You’re really doing two types of speeches in one. [21:20] Please visit SpeechWorkshop.com if you’re interested in attending a Bill Gove workshop. 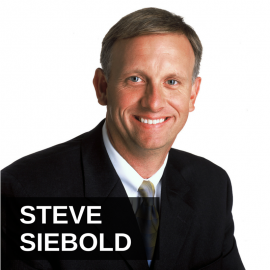 It’s my pleasure to welcome Steve Siebold to the show. He is a speaking coach provider of Mental Toughness Strategies to Improve Presentation. He is author of How Rich People Think and he’s got some fantastic ideas on both of these subjects and maybe a little bit about how they intertwine together. Steve, welcome, how are you? Hey, good, Jason. Thanks for having me. Good, where are you located? Fantastic, good city. I like Atlanta, we do a lot of investing there. So, how do rich people think? Well, they think differently than the middle class, that’s for sure. Rich people will think in terms, they look at money in terms of abundance and opportunity and freedom and liberation and all the good positive things where I think most of us have been brain washed to think about money in terms of scarcity and fear, that type of thing. It’s like they’re living in a different world, in my experience. Right, why is that, just out of curiosity? Well, I think we’re programed, we’re indoctrinated since childhood mostly by institutions, by people, by parents typically that don’t have any money and they’re trying to survive and when you’re teaching someone in survival mode, I think fear and security tend to, you know, tend to override everything you say. So, we’re indoctrinated into most of i from, most of us are anyway, from birth. Yeah, I would agree with you. It’s too bad that it’s that way, because the world is such an abundant place and literally the possibilities are endless. We look at technology, we look at these incredible companies that have started out of thin air and have become multibillion, billion dollar companies. So, definitely the abundance mindset is the place to be, isn’t it? Is the word getting out? Do you think people are coming around? Probably not. I hate to say this. You gotta be positive, right. Wow, you’re not exactly positive, yeah! I don’t think the masses really understand it. Unless some kind of event that occurs that gets them to change, I just got off the phone with a reporter at the Wall Street Journal who called me up on a comment. I don’t know if you say today, but there’s a story out today in the Journal saying that they are 290 newly minted billions. Michael Jordan, the basketball player, being one, but a lot of mostly technology entrepreneurs being the rest and he was asking me to comment about the story tomorrow about it and here – like you said just, I totally agree with you, there’s so much abundance out there, but I think that most people don’t see it. No, I don’t think they’re catching on, I think they’re could. I don’t think they are, because it’s such a small percentage of people that really understand it that I don’t think the masses are catching on. I wish they would, but we’re doing our part just like you are. Yeah, absolutely. Well, I want to talk about some of these other topics and even how they intertwine together, but I think the thing is that we gotta overcome Steve is for all of our evolution up until just very recently, the world was a very scarce places and people didn’t have enough. So, it’s just kind of programmed within us to think out of that scarcity mindset, isn’t it, where we’re protecting what we have and we want to make sure nobody takes advantage of us and nobody takes our stuff, because stuff really was scarce, only recently and I’m talking maybe three decades, something like that, the world is now a wash and stuff, isn’t it? Sure, sure. I think there’s always been the haves and the haves nots, but to your point, it’s certainty been in question the last couple of hundred years. It’s really taken a big turn where there’s so much opportunity for so many of us that aren’t born into great wealth or the families that have 8th generation, you know, wealth or that type of thing. Now, especially with technology, all of us, the playing field has leveled out and all of us have a chance if we’re creative enough and ambitious enough and innovative enough to really charge our own course and to really make more money than we need. It’s really the greatest time in the world to be alive, especially to make money. Yes it is, it really is. I love how in the book you have a very long table of contents where you just re-frame everyone of these scarcity beliefs, don’t you? Yeah. Well, I’ve interviewed millionaires and billionaires for 30 years. It’s one of the longest-running, largest studies. I’ve interviewed over 1,200 of the wealthiest people in the world and I started out, it wasn’t suppose to be a study. I just started out because I was a broke college student and wanted to be rich and thought, you better talk to rich people if you wanted to do that. So, I started talking to them and haven’t stopped since. So, that’s where I really wrote the book from and that’s where I get the information from is all these interviews and it’s just amazing how, I grew up the same way with the indoctrination of the fear and scarcity of money and there’s never enough and all that and then you talk to these rich people all over the world and it’s like they are living on a different planet and they are reaping all the rewards of that mindset and yet we can all adopt it. It’s not rocket science, but I think it’s that brain washing from school, from the religious circles, from sports cultures, from parents, from relatives, friends, and everyone that has no money. They are always preaching how there is never enough, there’s always a lack and I think that’s what holds us back. Well, one of the things that can really help us accelerate our success and help us become rich is public speaking. That is such an important thing. Ever since Dale Carnegie wrote and talked about it so many years ago. His course became so popular, of course. I mean, influencing large numbers of people from the platform, it’s a very, very important thing. How can people be better at this, how can they mentally prepare themselves before giving presentations and speeches? Let’s dive into the public speaking side. I think you’re absolutely right. I mean, there’s just no question about it. Again, I think it’s the one percentage of the population, maybe a little bit more than that that recognizes the power of the platform. A lot of people call it the magic of the platform, whatever you want to label it, but it just can’t be overstated what it does for you in terms of credibility, in terms of reputation, getting your name out there, your information, your ideas, but I think most people are held back because one, they are afraid of embarrassing themselves and probably the other part is they don’t really feel like they have a lot to say or they have earned the right to be on a stage or have a microphone in their hand or whatever and the truth is they probably have earned the right and they just don’t believe it. So, again, you got this tiny percentage of people, I mean, Bill Clinton has made over 100 million dollars in speaking since he’s left the White House. 100 million dollars talking. You know, that’s a pretty good deal there. That is a pretty good gig. Yeah, definitely is. Well, okay, so dive into some of the real tactical and maybe technical side of it. I mean, what does it take to become great at this? Public speaking? I think probably the number one thing is confidence. I think you’ve got to have the confidence to get up there and share a message, share a stories, be entertaining, give people ideas to help them grow and that type of thing. I think you got to have the confidence. Like, we had a bad experience with public speaking is scared. I said, no, I think everybody I know has had that experience where we say, okay, I was embarrassed, don’t do that again. Don’t get up in front of people and talk because you’ll do something or say something stupid and sure, if you speak enough. I mean, I speak for a living and I say stupid things all the time. It happens! You’re up there and you’re in the moment and sometimes you say things that you think, oh, I wished I really wouldn’t have said that. Where, like, where did that come from? Exactly. It’s just part of being out there. You’re going to, you’re going to make mistakes when you’re in the game and yeah, it’s embarrassing and it just happens and I’ve done it in front of 20,000 people like a lot of people have, you know, where you just make mistakes and what not, but I think that once you get over that fear and say, you know what, that just comes with the territory, I’m out in the game. If I hide in my house or in my office, well, there’s no chance I’m going to be embarrassed about it probably, but then I don’t get the benefits of the medium as well. So, I think overcoming the addiction, the emotional addition to the approval of other people all the time, I think confidence plays a role as well. That’s a mental toughness gamut, isn’t it? Oh no question. It really is. I think you get tough enough to go, you know what, I’m about to do a five day seminar here in Atlanta and I’ve got people coming from all over the world and, you know, hopefully I’ve done a lot of them for a lot of years and I’ve gotten pretty good at it over the years, but you know, I’m sure that’ll be parts that, it’ll all be filmed for five days, and I’m sure there will be parts I’ll look at the film next week and I won’t like it, you know, but that’s just part of it. You get tough in enough to say, hey, you know hat, I did my best and next time I’ll fix it, I’ll be a little bit better, come things I like better than others and I think you’re tough enough to say, nobody’s perfect, but if, the alternative is to not do it, which doesn’t help at all. That’s a sure way to no success is not doing, yeah, absolutely. Like investing, right, you know that world. Yeah, no question about it. You gotta just dive in and you gotta take chances and if they don’t work out, you’re going to learn something and you just gotta look at it as a learning opportunity. Talk to us about confidence. I mean, how is confidence developed? How is mental toughness developed? What are the ingredients? What’s the recipe? Well, I think you decide, you know, I think you decide what you’re going to do. You’re going to take the shot, probably no different than investing. I mean, I am an investor as well in equities, real estate, all kinds of things like a lot of people and you take your chances, you take your calculated risks and you say, you know what, I can live with the downside, if I lose it all, it’s a spec stock or if it’s a spec piece of property, whatever, I lose it, I lose it. I make the decision to say if I lose it, I lose it. If I make a lot of money, I make a lot of money. If I break even, I break even, but I think decision is a big part of it. You make a decision that this is what the risk is, this is what you’re willing to lose, this is what you’re willing to do, and you decide you can live with that. You can live with the worst case scenario and if you do that, if the worst case scenario manifests itself and then you say, well, I wish that wouldn’t happen, but that’s the way it is and you move on to the next decision. I think decision is the root of it. So, decision is the root. In your speaking training, how do you train speakers? Well, we have a program called the Bill Gove Speech Workshop. For people that don’t know, Bill Gove was named – like they called him the father of the professional keynote speaking industry. He was the first President of the National Speakers Association, trained people like Zig Ziglar, Mark Victor Hansen, Bob Proctor and all these speakers some of your people might know. He trained just about everybody who was a top speaker for many years and for 50 years. Bill was my partner, business partner in the last five years of his life and so what we do is we take small groups of people, 10-15-20 people max and we put them in a room for three days and we teach them basically how to entertain a live audience for fees and it’s no small task, but we have 79 people of the years of the workshop that have become multimillionaires as graduates of the workshop. That’s over a long period of time, but pretty amazing process. So, what advice can you give our listeners on entertaining audiences. Well, I think you have to know right off the bat is speaking, the medium of speaking, if you’re going to get paid, that’s the space we live in is the paid speaking world, not where you’re selling in the back of the room much, but where you’re getting a fee to be there to give the speech. I think the first thing you really have to go over that most people don’t is that 80% of it has got to be entertainment. If you’re up there teaching people like you would in a highschool class or even at Harvard or Yale or some ivy league school, you’re not going to make it. You’re not going to get $10-20,000 a speech. You might get, you could get an $80,000 a year teaching at Harvard, which is amazing, but you’re not going to get $20,000 a speech to speak to corporate America or any other major organization. You’ve got to entertain the audience and that’s really the key and there’s a lot of ways to do that. The way we start is with personally stories that tend to be entertaining and hopefully exciting. Is it really that issue of the signature story. Is that what you’re talking about when you say personal stories? No, not at all. Some people talk about having a signature story. I’ve never seen any multimillionaire professional speaker that really focuses on one story. I mean, you tend to get known for certain stories, but the stories are just the means to the end. I think they are the means that keeps the audience alive for the end, which is the content you’re suppose to deliver, which is the solution. The problem is most of the audience doesn’t care about the solution in a corporate speech. You know, the first two rows, the president, the executive team, they came about the solution. The other people are employees who are punching a clock, effectively, they want to go home. They want to go to the casino if you’re in Vegas, working in Vegas or some other garden spot where we give these speeches or resorts. They don’t really care about the solution. They care about getting a paycheck and going home. Meanwhile, the first two rows really do care a lot and they are the ones that right the checks for us. So, you gotta give two speeches at one time. One, to entertain the mass of the audience who wants to be entertained, because they are more interested than that than they are education. They are more interested in entertainment and two, we gotta give the solutions, hopefully our ideas, to help solve problems for the first two rows that actually care about solving those problems. So, it’s two speeches in one. A little bit of a trick, but if you know how to structure it, it works really well. Yeah, that’s great. Okay, some I’m fascinated by that. I agree with you, it is two speeches in one. Just any other advice that you want to share on crafting that two speech thing. I mean, when you talk about personal stories, should the speaker self-effacing, is humor something you’re just born with or can it be developed, any tips on that? Just anything you want to share on any of this stuff. Yeah, anything with entertainment. I mean, sure, self-effacing humor is great. Any time you can make fun of yourself is great, because we get these, as you know, Jason, we get these glowing introductions like we’ve never made a mistake in our lives, we’ve never lost money on an investment. We have perfect kids, perfect wives and husbands and all the rest. We’re just so amazingly perfect. I laugh. I’ve been hearing my introductions for 19 years and it makes me laugh almost every time and, of course, I’ve written the introductions, so I know what it is, but it’s just kind of skewed and I think that because they see us up there and most people are afraid of public speaking hat self-effacing humor, as you say, really is powerful, because they hear it, they see us and hear us and they think, wow, they are larger than life. Of course, it’s true, because we’re not larger than life, we’re just like everyone else, but it makes it seems like because of the power of the platform, it magnifies your credibility, which is good, but then a lot of times they are impressed with us, but they don’t connect with us, because they think, well, that’s great. You’re a superhero that flies around like superman and I’m terrified to give a speech. I can’t even give a toast at a wedding and you’re some – so I can’t do what you do. Of course, that’s not what we want them to feel like. We want them to feel like they can do anything they want to do. So, any kind of self-depreciating story. Anything like that, self-effacing humor is great, because it makes you human, as we are, but it makes them believe we’re just like them. We do dumb things and we lose money on investments and we get divorced, we drink too much, we smoke too much, whatever, and it really does help. So, I think the biggest thing, Jason, honestly, is the biggest problem that I’ve seen with people over the last 19 years of doing the Bill Gove workshop is number one trap is they think they’re teachers. They come in and say, well, I’m a teacher, I’m a professor or I want to teach or I’m a trainer and I want to teach and the keynote medium in training it’s different, but in the keynote, it’s a 40 minute speech. It’s a 45 minute speech, maybe an hour, you really do have to entertain. You really have to have some fun with them, tell them some stories, have a good time, use one liners, use every trick in the book you can not to entertain them otherwise you’re going down and you’re not coming back. So, we really work hard on the entertainment piece, even though a lot of people don’t – they fight it and usually those people don’t make it. Fight the entertainment side of it. Right, yeah. They want to maybe considered more intellectual or maybe a high-content speaker and the entertainment is kind of that old saying, sell the sizzle not the steak, right? Yeah, exactly. Sarah Palin gets 75 grand a speech. How much content do you think she has? Not to get too political, but c’mon. Yeah, it’s not. Well, same with Bill Clinton, on any side of the aisle, right? I mean.. There are, yeah, I think that, you’re right though. It really is about.. I mean, Colin Powell used to get paid a fortune to speak. I don’t know if he still gets 75 grand a speech and a private jet, but he used to and that was before Sarah Palin had her career really launch. He’s sort of like an intellectual guy. I can’t imagine Colin Powell, I’ve never seen him speak, but I can’t imagine him being very entertaining, but maybe he is! I don’t know. Yeah, well as much as I would not put Bill Clinton, Colin Powell, and Sarah Palin in the same category, to your point, just in general, that’s kind of the thing – being serious about it, those three people are celebrities they get paid to really show and all that no matter what they say or do, but for the rest of us mortal that no one knows except our fan base, we really get paid, they don’t think we do, but we get paid to entertain and hold the audience attention and boom, once we’ve got their attention, here’s a solution or a partial solution or an idea to a problem to a solution that might help you solve a problem and they go, hopefully they go, wow, we never would have thought of that, that’s really good, what else do you have and then we’re in. Good stuff. I guess we’d be remiss since we went down the political road if we didn’t talk about Obama a little bit, because candidate Obama was praised as this great speaker. This very moving speaker. He laid out his budget plan for the next ten years to erased the national debt and to fight income inequality. You know, how do you grade Obama through his Presidency as a speaker? Is he too stilted and not entertaining enough or what do you think? I’m not a big fan politically. Of course, that’s really irrelevant, but I say that just to say I think he’s a tremendous speaker. I think Bill Clinton is a tremendous speaker. I mean, you can go both sides of the asile, but you know, those are the same side there, but certainty there are republicans that are great speakers as well. You’d probably say Reagan was a great speaker, right? I think Reagan was – yeah, in the sense that he connected emotionally with an audience. He tended to do that really well, at least in my opinion. He really seemed to connect with people and i think Clinton does that really well. I mean, look at Clinton, if Clinton could run for President and he would probably be President. We all know he lied to all of us. I mean, he’s such a charismatic individual – I mean, he’s incredibly rare talent and I think Obama is too. I think he’s President, because he can give a great speech. That might be a little too political, but I think that without his..
Well, don’t worry about offending me, I think the guy is an empty suit, so but yeah. Yeah, I do too, honest. I think he’s a very smart guy, but I don’t think he’s done a lot, but he is a great speaker and I think if you removed his speaking skill, I don’t think he’d be in the White House. I don’t think he’d made it in if he was a speaker like John McCain who is not all that exciting probably. Oh God, McCain is terrible, but Obama, you know, you get him off the teleprompter and I don’t think he’s a good speaker at all. I mean, he’s really good in a big stadium with a teleprompters and maybe that’s more the credit of the speech writers. I guess you get lucky and you get a good speech writer and you’re just in, right? Well, I think that Obama, if he wasn’t a celebrity by this point, obviously and all that, I think if he wanted to be a speaker, he could be a great speaker. He’s a pretty charismatic guy. I think if you take someone who is really smart and, again, I disagree with almost everything with President Obama, criticized him on national television many times, especially on Fox Business Network, but you know, I think he’s a very, very bright guy and I think that’s something that comes through that you can’t hide in a speech. It doesn’t have to be in general like someone like an Obama or Clinton where they just sort of seem to have information about a lot of things, but if you know what you’re talking about whether it’s real estate investing or whatever, stock market, mental toughness, whatever, it comes through. It comes through if you really are steeped and I think that’s one of the things, really steeped in the topic. If you really want to be a speaker, use public speaking or whatever for fees to promote your business or whatever, I think you have to really be steeped in the topic, because it will come through if you’re not, I think we’ve seen that with Obama at some level that some of the stuff that he’s a great speaker on, he really didn’t have a lot of in depth knowledge about and I think it shows through, but it sure sounded like it in the speech. Yeah, definitely. Give out your website, Steve, and tell people where they can find out more. I know you’ve got to run. Yeah, the speech workshops to attend the Bill Gove workshop, to get information about that, you can go to SpeechWorkshop.com, but I’ve got a free course that people, I don’t know if your listeners might be interested in this or not, but we have a free seven day course. Tens of thousands of people have taken. It’s on the internet. It’s a free video course called FreeSpeakingCourse.com. It’s really good. It’s a seven day video. It’s all very well done. We shot it in our studio here in Atlanta. We have a world-class facility here in Atlanta. Studios and all that. It’s a seven day course, people can give them sort of a test drive of the professional speaking business, no hype, there’s no sales or anything like that. We’re not trying to sell them anything, it’s just kind of a service that – so many people, thousands of people ever year call our offices to see if they can get into the Fee-based speaking business. So, we created this video program that says, okay, just go here first and call us back if you’re interested after that. That’s probably the best way to do it. Absolutely. Good stuff. Well, just any closing thought on mental toughness or speaking tips before you go? Well, I think that we do, we were talking about this earlier, I know before we went on that there is really, we do mental toughness training for corporations. The mental toughness side of speaking, as you said, you know, a few minutes ago, really is a piece of the puzzle. There’s no question. I think when you get up there, you’re going to have people that disagree with you. We all get everyone that goes on in front of cameras or crowds or both. I do have a living, have for a long time, other people do, you’re going to get criticized. You’re going to make mistake,s you’re going to get criticized and I think if you’ve got some mental toughness to live with the downside of it, well the upside is so large. I don’t think people realize how much money is involved, not just in speaking fees, but just in the ancillary business and the credibility that comes with being someone that’s in front of a crowd and you don’t have to be a Bill Clinton or a Ronald Reagan to be a great, you know, that great of a speaker. I think you should be confident and that’s what we teach people to do, just to be confident and boy, it’s amazing what you can get on the back end of that for your reputation, for your business, for your income, it’s amazing. It really is. Good stuff. Steve Siebold, thank you so much for joining us today.